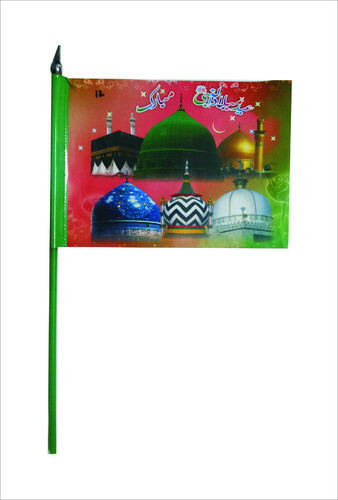 Our range of products include printed flag, religious flag, paper bunting flag, paper hand flag, islamic flag and religious cap. 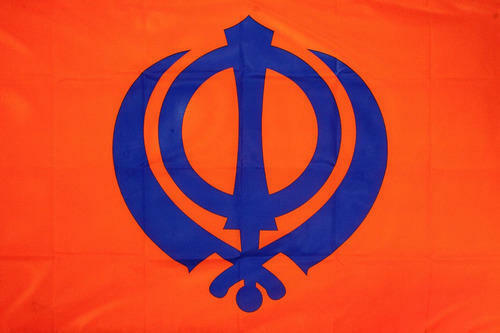 We are passionately engaged in providing an exclusive array of Printed Flag. Our offered flag is beautifully designed by our artistic craftsmen utilizing quality assured raw material and highly developed technology in accordance to industry standards, only to add the most attractive looks. As per the ever-evolving requirements of our clients, we provide this flag to our clients in diverse designs and shapes. Moreover, our clients can avail the entire range from us at market leading prices. 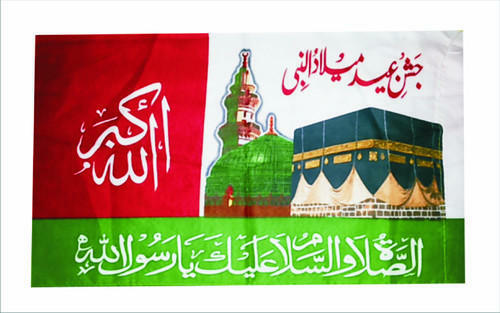 We are offering an exclusive collection of Religious Flag that is available in diverse sizes and shapes. 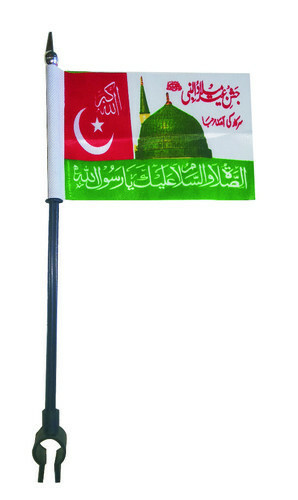 Our offered flag is globally valued and demanded for its elegant design and superior finish. The entire array is beautifully designed with utmost care by our experienced craftsmen using progressive and the latest technology. 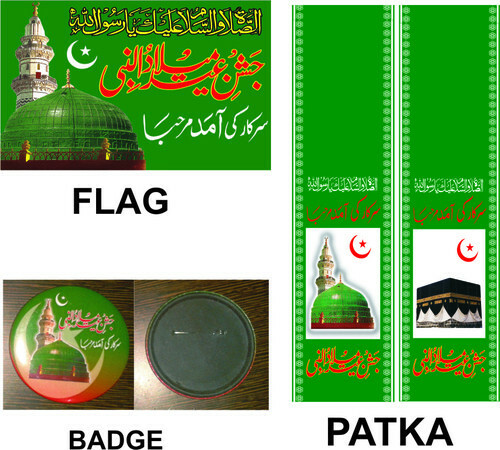 Our provided flag can be custom-designed, as per demands of our esteemed clients from across the globe. With enriched industrial experience and knowledge, we are providing our clients with a wide assortment of Paper Bunting Flag. Designed with extreme precision, the offered flag is designed using quality-tested raw material and highly developed technology by our deft designers. In addition to this, our products undergo different tests under the supervision of quality examiners, in order to ensure its flawlessness. Clients can avail the entire range from us at market leading rates. We are manufacturers and suppliers of paper hand flag provide printing services on other items. Having proficiency in the field, we offer a wide range of Flags which are available in various sizes, designs and color combinations. Our variety of flags is provided in different vivid colors for easy visibility and come with & without base. They are highly praised for their flawless quality. 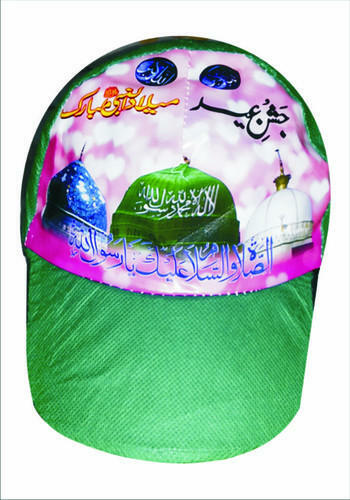 We are providing our esteemed clients with a classy range of Religious Cap. The cap offered by us is designed by our deft craftsman using latest machinery and advanced tools. In order to make sure the quality of this cap, our quality examiners test it on different parameters. Apart from this, we provide this cap in diverse sizes, designs and shapes to meet varied requirements of our clients.